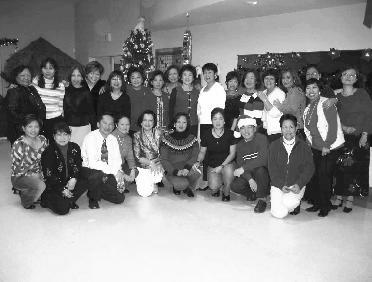 The 2004 PNA Christmas party was held at the Philippine Cultural Center in Overland Park on December 4, 2004. It was a huge success attended by over a hundred people , celebrating with us, our annual Holiday tradition. Even out of state nurses came to visit! Come and celebrate the PNAA's 26th Annual Convention. This 4-day program provides opportunities for nurses to network and share their views and experiences. The educational program is designed to enhance participant's readiness to: (a) reflect on American professional nursing and its vision for the future, and (b) discuss selected examples of opportunities to pursue that vision and selected examples of innovations in pursuit of Nursing's vision for the future.